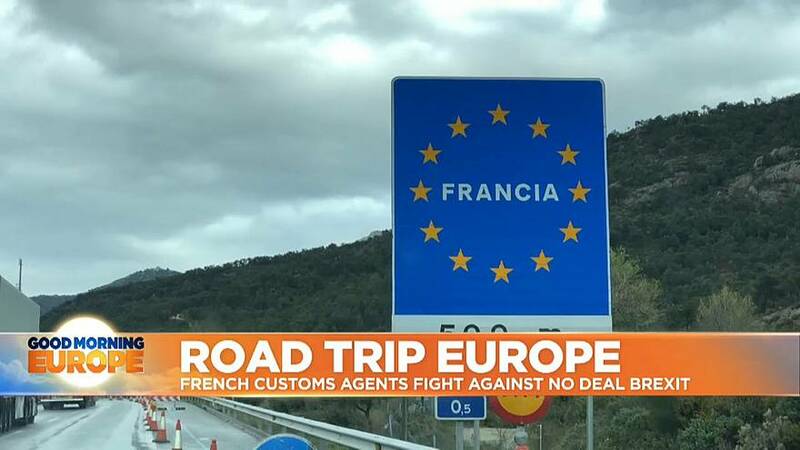 As Euronews' road trip team left Spain and arrived in France, they stopped in the commune of Le Boulou, 12 kilometres from the border. But entering the country proved to be a much longer process than it had been in other EU states. Jean-Christophe Albrich is part of the CGT Union, and has joined the nationwide action. "It’s about the reemergence of borders, and once border controls are re-imposed, customs agents are going to be the first affected. We’re at the front line," he said. The strike has involved customs staff carrying out longer and more rigorous checks to warn the French government and public what would happen if full border checks were put back in place. "Brexit will have an impact on the economy and on our territorial security," Albrich said. "On an economic level we’re talking about 2 or 3 million extra customs declarations registered by officers. And on a security level, there will be ID checks of passengers. People that will come from or travel to the UK that will have to go through customs filters." The French government has announced plans to increase the number of customs officers to deal with Brexit, but union representatives have said that more needs to be done. "For us this really is the last straw," said Albrich. "Brexit comes after 20 years of job cuts. In 20 years, French customs lost 6,000 people. And now in the eve of Brexit we are witnessing a recruitment process that is real but absolutely insufficient to deal with the amount of work we will have."